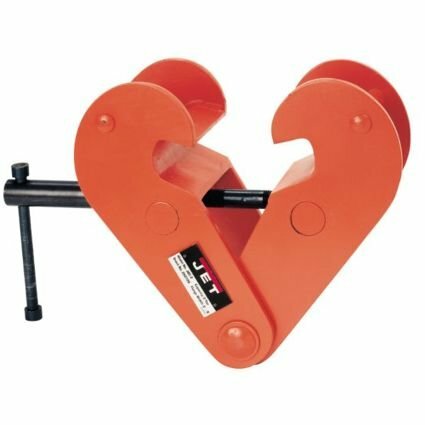 adjusts with ease to fit a board range of wide-flange H or standard I-beam clamp jaw designed to distribute the load away from beam flange edge Low headroom with built-in suspension rod. Proof tested with test certificate. 1 Ton Push Beam Trolley Adjustable for I-beam flange width: 2-11/16" to 5-1/8"